. Published on October 24, 2018 . Your biggest day requires your most beautiful complexion which is why pre-wedding skin preparation is the workout not to be missed. The ring is perfect, your dress is perfection and the venue is breathtaking – you’ve organised everything just right, so what about your skin? It’s likely you’ve already booked a photographer and hair & makeup artist but have you spoken to your Skin Technician? On your big day we know you’ll glow from the inside out but a radiant complexion is that special icing on your wedding day look. 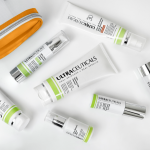 We chat with Ultraceuticals Global Education Ambassador, Tracey Beeby on how to get started. 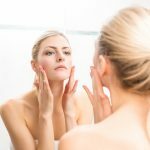 I want perfect skin on my wedding day, how far in advance do I need to begin a skin regimen? Begin treating your skin as early as possible as this will allow you to relax with a maintenance program prior to the big day. 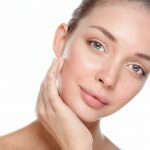 I’d recommend at least six months as the minimum that a skin regimen should begin however if there are specific concerns you’d like to focus on – such as blemishes or pigmentation – these should begin at least a year before. I have a lot to plan! 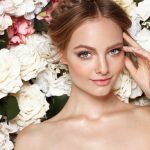 Where is the best place to start when it comes to wedding day skin? 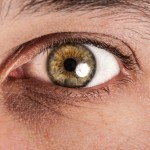 As with all skin treatments, the best way to begin is with a thorough skin assessment. 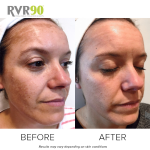 This will allow you to discuss your needs with a Skin Technician and together work to a plan that not only suits you financially, but importantly will deliver results in the required time frame. And make sure you also consider the skin on your body – I’d suggest the regular use of a cosmeceutical body cream and sunscreen. Planning a wedding is stressful. 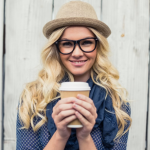 Do you have any tips for last minute breakouts? Aside from a regular skincare routine, a good diet and regular exercise is vital. However, with all that planning stress, breakouts are inevitable! Have a spot treatment on hand such as the Ultraceuticals Ultra Clear Spot Treatment this can be used up to three times daily and will assist to clear the spot as quickly as it arrived. And remember, never try new products or treatments within the final four weeks of the wedding just in case a negative skin response may occur. Start with a thorough skin health check to ensure a good home care program is integrated with personalised cosmetic clinic treatments. Homecare should include the basics: cleanser, moisturiser, sunscreen and environmental protection with treatment serums then added to target specific concerns. Clinic treatments should be performed fortnightly or monthly depending on the results required. 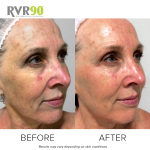 No intense treatments should be performed within one month of the big day and so this is the ideal time for monthly or fortnightly skin peels and maintenance treatments. Sunscreen must be worn daily on the body as well as the face to prevent tan lines developing that may work against your dress design. As peels are not recommended during this time focus on maintenance treatments including LED light therapy to enhance the skin’s glow before the big day and spa body services for relaxation. Diligence and routine with homecare is vital to prevent any potential breakouts on the day. If masks and a physical exfoliant are part of your original homecare program, these may be used at home one week out. Your commitment to skin health has served you well. Stick to your routine, prep with UV protection for your outdoor photo moments, and stay hydrated with regular spritz of a skin mist. Then just relax, go forth and glow! 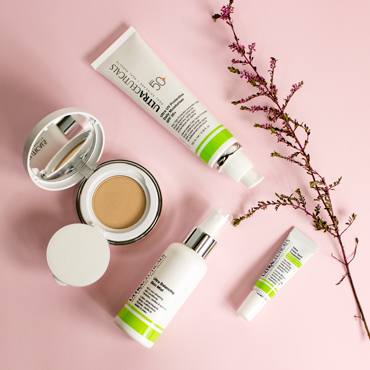 To start your journey to your best possible skin and discuss how to create a skincare regimen for glowing wedding day skin, visit your local Ultraceuticals expert clinic for a consultation with one of our qualified Skin Technicians.